Most adults ride bicycles when they are in college and then never ride them afterwards. I did the reverse. I acquired my first adult bicycle just after college in of all places Satara, India, and have continued to ride them ever since. In 2011 I was reminded of my first adult bicycle experience when I attended an art exhibit called “Maximum India” at the Kennedy Center in Washington DC. Interestingly, the Kennedy Center was designed by the same architect responsible for the "brand new" U.S. Embassy in New Delhi that had welcomed me as a Peace Corp Volunteer in India in 1969. 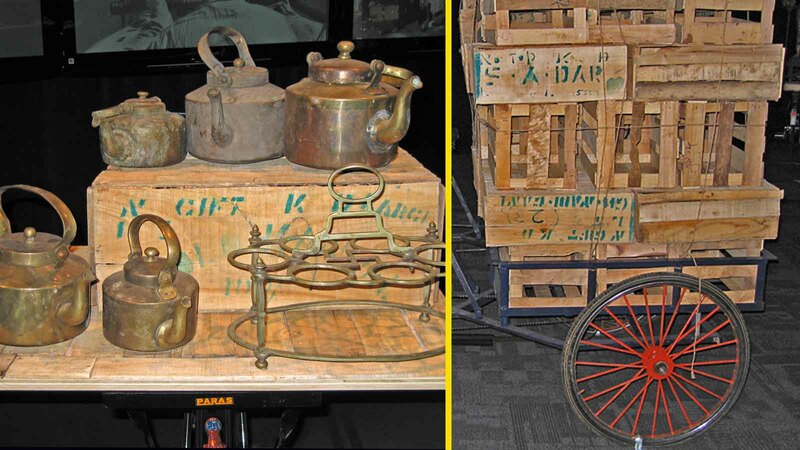 The exhibition included many of India’s traditional bicycles performing a variety of economic tasks. These were mostly black, vintage, heavy, rugged English-style roadster models with fenders, common to India because of its colonial history. Built for durability, these roadsters often weighed more than forty pounds. Looking at these bicycles I thought to myself that the most powerful city in the world was paying homage to the lowly workhorse of the Indian subcontinent. Bikes are mostly used for economic and educational activity in India, whether for transporting people or goods. Seeing these bicycles close to my home in Washington, DC took me back to a small town called Satara, in Maharashtra, India. 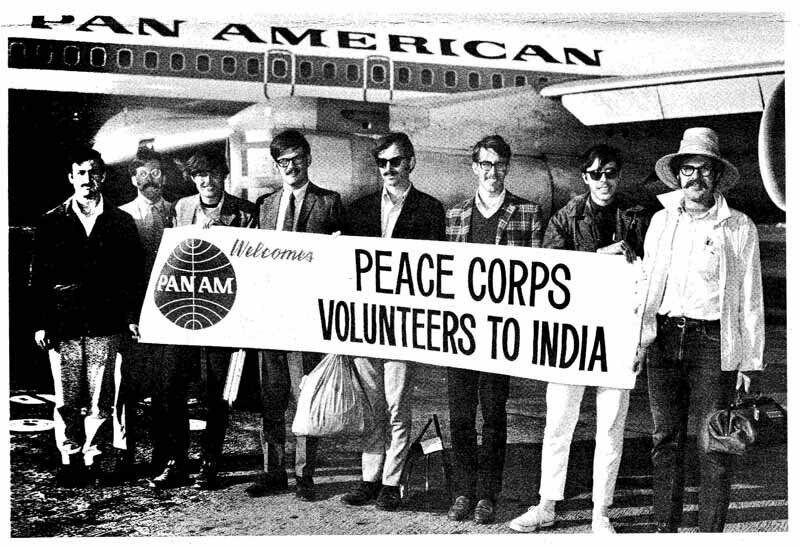 Fr0m 1969-1971 I was a Peace Corps Volunteer in India. Once I arrived as a 23 year old, I had a month of in-country orientation. After spending time in New Delhi, India’s capital, I traveled by train with other new volunteers to the Peace Corps’ regional headquarters in Bombay (now Mumbai). Finally, I was ready to be dropped off at my assigned town. The other volunteers in my program in my Agricultural Mechanics Program would be spread out across Maharashtra state in the western part of the country bordering the Arabian Sea. 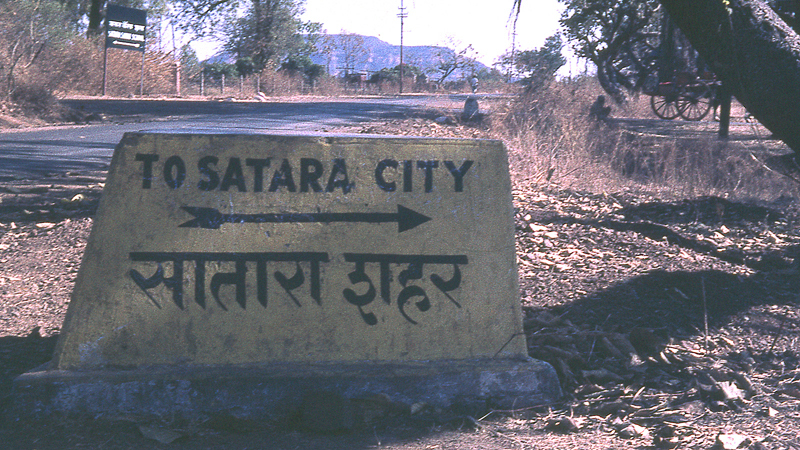 The journey to Satara started in Pune, a city about 100 miles east of Mumbai, considered the gateway to the Deccan Plateau, a large flat plain located between two coastal mountain ranges, comprising most of middle and southern India. 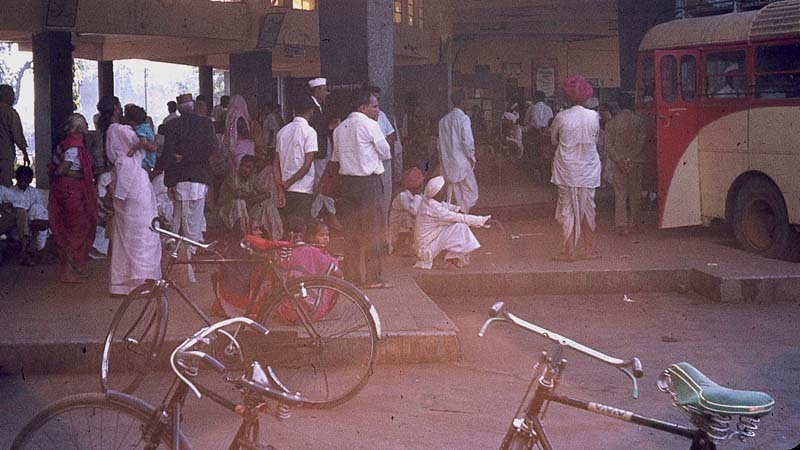 Here is the story of my arrival in my Peace Corps station in Satara, India. Our program director Adi yells out in his Texas drawl, “Saddle up. Let’s ride partners.” It's early morning and I'm in Pune, Maharashtra, 60 miles from Bombay (Mumbai). 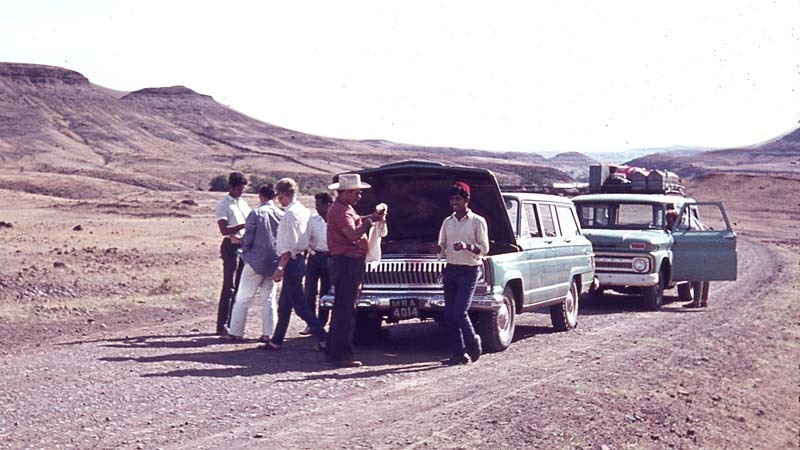 I along with 4 other volunteers pile into a Peace Corps jeep accompanied by Adi. Along with the others I'm ready to be dropped off at my assigned town in Maharashtra, a state in the western part of the country bordering the Arabian Sea. My new roommate Bob is sitting beside me. We have been assigned to work together in Satara, Maharashtra. As demonstrated by the Texas accent, Adi has an amazing facility for languages. After spending a month in India, I had become accustomed to Indian English, with its hard sounds and clipped words. But here is a native of India who could easily assume several American accents who during our training told cowboy jokes and sang campfire songs with an uncanny Texas drawl. That made our group of volunteers howl with laughter. During the jeep's rattling descent to Satara, the small traditional town comes into view. A thousand thoughts pass through my mind knowing that this will become my home for the next two years. What will my new house look like? How will I cope with the language and culture? How will my relatively ill-defined work play out? Will I really ride a bicycle for my work? Only time will tell what experiences await me, but my nervous anticipation gives way to excitement as we enter Satara. After winding our way though the noisy hubbub of the town we quickly reach the suburbs. With one last toot of the horn the Peace Corps jeep boldly drives into a circular driveway of an old English bungalow in a quiet neighborhood called Camp Satara. Adi Patel says, "We're here guys. Welcome to Satara." Bob and I ended up in Satara together for an unusual reason. When asked during our training program about preferences, I indicated that I wanted to be located near the mountains. For the same question Bob said he wanted to be stationed with me. 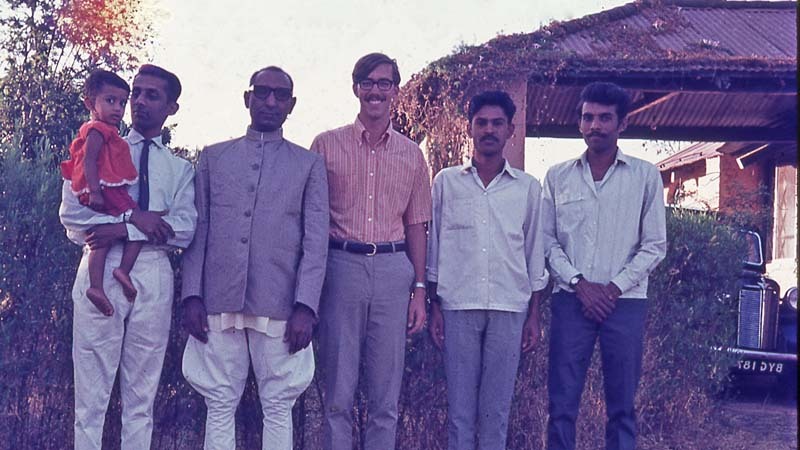 I guess the logical result was for Peace Corps to put Bob and me together in Satara at the foot of the Western Ghats (mountains). I benefited by being close to a new friend and Bob benefited by being located next to the mountains. In all ways this was an ideal combination. The father of the family alongside whom we would live decided to rent the rooms to two interesting young Americans ignoring the cautions of neighbors that we might be CIA agent. No doubt the extra money helped firm up the decision. As for Bob and me, we two lonely volunteers are about to be left behind in the middle of nowhere and are grateful to be welcomed into an Indian family. In most of India, people call friends by their last names, while first names are reserved for family or near family. In our case, this would have meant that I would have been addressed as Barnes rather than Doug. Over their objection, we insist that the family use our first names. The compromise reached is for the father to call us Mr. Douglas and Mr. Bob. Adi gives us a brief overview of what is expected of us in the coming months and wishes us good luck. Towards the end he says, "Don't forget to register at the police station." After the goodbyes, the jeep bumps up the driveway, leaving us very much alone in our new world. Bob and I look at each other as if to say, “Okay, this is it. What’s next?” But both of us are determined not only to work hard, but to enjoy the experience of living in a small town in a strange new country. Bob and I unpack all of our gear and carry it into the rooms on the side of the house. We each have one large suitcase, including our clothes, a camera for the many anticipated pictures, a radio and tape recorder for music listening, and a toilet kit. We also have brought our mechanic's tools for our work and they weighed down our bags more than everything else. My new home is a suite of sorts. It has one room for sleeping at the front of the house and another for bathing and cooking leading out to the back yard. The third room, located in the center, is considered the living room. 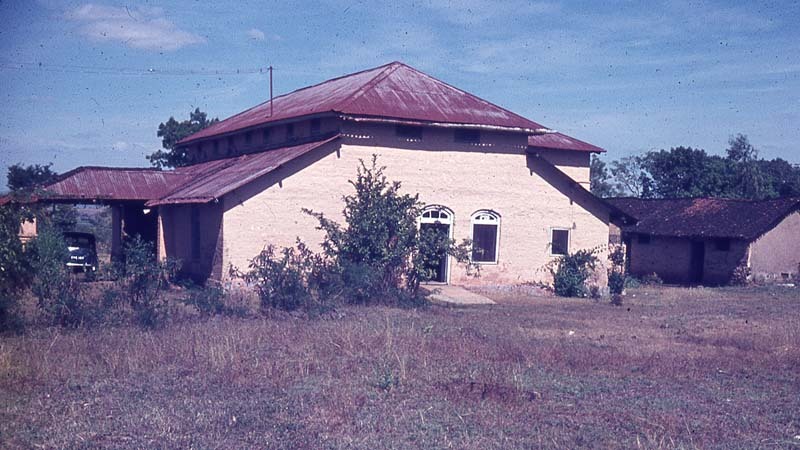 It has a high ceiling with a visible rusty red corrugated metal roof. We have piped water in the cooking area that works only intermittently. After unpacking I clean up from our dusty ride. The bathing area is in a small partially enclosed cubicle in the kitchen. For my bath I fill a large pot with water and heat it up. Then I pour the water into a plastic bucket. I dip a cup in this warm water and pour it over my body one limb at a time washing away the travel grime. I become adept at bathing this way. Just as we have no real bathroom, we also have no inside toilet. After my bucket bath I saunter twenty yards outside to relieve myself in a small tin outhouse that is 6 feet off the ground. After climbing up the stairs I squat amidst unwanted odors perched on an Asian toilet, two foot prints raised from the floor. Between the footprints there is a hole and a straw basket 6 feet below. I think, "I’ve got to get used to this." In Satara news of the rest of the world is hard to come by. The town has no televisions, and only two telephones are within a twenty-house radius. I know from discussions with our program director Adi that to place a long-distance call I have to dial an international operator weeks in advance to make reservations. On one occasion I tried to call home. Once the call went go through I couldn’t hear much because of the static. Shortly after a connection, the call is cut off. I have to wait several weeks to place another one. This all means that I wouldn't be placing telephone calls back to the USA any time soon. Although being cut of like this is difficult, it also has a silver lining. Being out of touch means that I'm not constantly reminded about what I've left behind and I live more in the present. After we are unpacked and settled in, without knocking, the elder son in the family (to my left holding child in above picture) who is about our age comes through a connecting door from the central part of the house where he lives. He's coming over to meet the new strangers. Privacy isn't a well-understood practice in India, so he never considers knocking. This doesn't bother us. This first evening's visit eventually would become a welcome ritual. During our stay in Satara we will converse about everything from religion to politics, including the differences between our two countries. But on this first night, there would be no such talk. He announces in his formal Indian English, “For your transport I am having something for you. We were given a stipend to secure them from a shop near Rajwada (palace) in town.” Looking very pleased with himself, he goes back into his side of the house. He then wheels into our center room two black, shining Indian bicycles that would serve as Bob and my trusty steeds for the duration of our India adventure. The bicycles are much like “English-style” roadster bicycles, which is not surprising since, at that time, the British had only been departed from India a little more than twenty years. The main difference is that these bicycles have no gears. They also are heavy weighing about 40 pounds, built to withstand the punishing Indian roads. The son gives us lessons on how the bikes work. He gives the brakes a squeeze. They are like nothing I have seen before. The hand levers push a set of interconnected steel rods that move the brake pads against the rim. He points out the light on the front that is powered by a dynamo (generator) that rubs against the tire on the front wheel. He then rolls it back on its kickstand to show us how to park the bike. Just like a moped the bicycle rolls backwards up on this metal stand and it lifts the rear wheel off the ground. He demonstrates the lock for us. It's a crude semicircular metal locking mechanism mounted on at the top of the rear fork. This lock pivots through the back wheel giving limited protection from theft. The lock snaps into place between the spokes and then is opened with a small key. I think that this would keep the bike from being ridden off, but that's about all. The lock only keeps the back wheel from turning, so the bicycle could be easily carried off or rolled away on its front wheel. My first impression is that the bike is really heavy, but I'm grateful that it's brand new. Looking them Bob says, "They remind me somewhat of English bikes I knew as a child." After the demonstration the son of the family vanishes through the doorway just as quickly as he came. Bob and I are left alone on our first night in Satara. It's quiet. I hear the crickets chirp outside. As we talk about our new experiences, I wonder what the next years will bring. It's been a long day and I'm dead tired. My first bicycle ride as an adult will have to wait till tomorrow. Ready for sleep I crawl inside the mosquito net and lie down on my new metal frame bed. After closing the net I can hear the mosquitoes singing, buzzing around trying to get inside. In an act to become a nightly ritual I hunt down and execute the mosquitoes still inside the white netting. I want to sleep undisturbed for the next day’s bicycle ride without the song of mosquitoes ringing in my ears. I put my head down on the hard cotton pillow and before I know it, it's morning. I get up ready for my first ride. In the morning I reorganize my few worldly attributes. It doesn't take long. Then in the afternoon I use my mechanics tools to adjust the seat on my first adult bicycle. I tighten any loose screws and bolts obviously ignored while being assembled in an Indian factory. My new 40 pound black Indian roadster bicycle is ready for the road. Just like me it's ready to experience the first ride of many to downtown Satara. What adventures await me? Continue the story to read about my first bicycle ride in India. 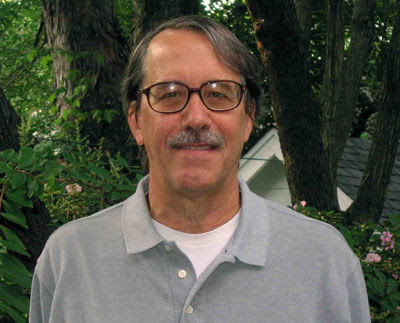 Subscribe to Doug Barnes' Blog by Email Don't worry. Just Emails. No spam. Hello Doug. Andrew sent me the link to your blog. You have a great visual style of writing. I couldn't help smiling while reading your article. Did you keep a diary then ? There are most amazing minute details about your experience. It felt looking at the pictures and especially the one on your arrival. Keep writing. Great to reconnect. You're rolling right along. I hope you keep it going. It's a great read.